All homemade beauty recipes and content on this website are intended as general and recreational information only, Use these recipes, information and ideas at your own risk. 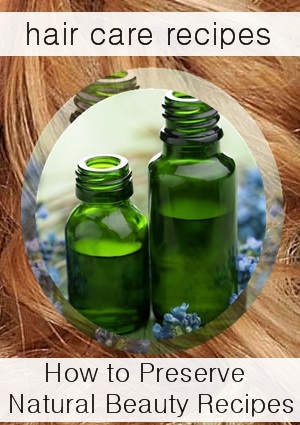 As we all know, homemade hair care products and other natural beauty product we make at home will not have the extended shelf life of store bought products. But this is why we make our own products, to avoid those harsh chemicals and preservatives that commercial companies add for longer shelf lives. Number one rule in homemade recipe making is to make small batches. Know your ingredients. Some natural ingredients act as natural preservatives. High anti-oxidant ingredients such as jojoba oil or Vitamin E are high in anti-oxidants and can prolong shelf life. Pay attention to smell. If your products start to separate or smell they have gone rancid and need to be discarded. Grapefruit seed extract: to use: 6 drops per ounce of cream or oil, or 1/3 teaspoon per cup. "Natural Preservatives"... A controversial topic. Do some research on the web and you'll see some people saying Grapefruit seed extract is an excellent preservative and some will say Grapefruit seed extract is not ALL natural and has mild, limited preserving abilities. Who's right? Who knows. Time is your test. This is why it is so imperative to make natural beauty products in small quantities. Recommended use levels in a finished formulation is 0.1-0.5%. It is effective over a broad pH range from 3 - 8. Some essential oils that have demonstrated antimicrobial properties are caraway, cinnamon, clove, cumin, eucalyptus, lavender, lemon, rose, rosemary, sage, sandalwood, tea tree, thyme. To properly preserve products for long periods of time, you'll need to exceed the recommendations for safe amounts in skin care products. If using these EOs to preserve products, make batches smaller and use them quickly. Your safest way to preserve your natural recipes is to avoid water in the formulation and make small amounts! And look for ingredients that are high in anti-oxidants. 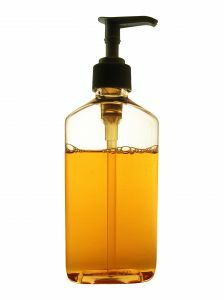 Preservatives: How to preserve and extend the shelf life of your beauty care products you make at home. Oil + water= bacteria . Anything that has water in it is even less likely to have a good shelf life. If you can, avoid lotions and stick to balms and salves. You'll notice a lot of our recipes at NB community are made with lots of oils and waxes and we try to have little water formulations. Below we have some information on preservative you can try. Use your judgment and test, test, test your natural homemade products! Lecithin powder acts as an emulsifier and thickening agent for natural cosmetic products and extends the shelf life by acting as a mild preservative. When added to cosmetic and body care recipes, it acts as an emulsifier, thickener, stabilizer, mild preservative, moisturizer, and emollient that blends well into any natural shampoo, makeup, conditioner and body care recipe. Also comes in liquid form for seemless blending. General use ratio: 1/2-1 tbs to a 19 oz batch of cream. Dissolve during the heating of oil phase of your recipe. Rosemary Antioxidant (Extract) acts as a natural anti-oxidant. One of the best natural preservatives, Rosemary Extract extends the shelf life in your cosmetic, cream and lotion recipes. Use at add .15 to .5 % in formulations. Use sparingly. If using food in your hair care products, make enough for one batch or for as long as it can be refrigerated. It's also a good idea to keep natural products out of bathrooms. Bathrooms have loads of unknown germs, lots of humidity and warm temperatures. Store in your bedroom, kitchen or cool place.